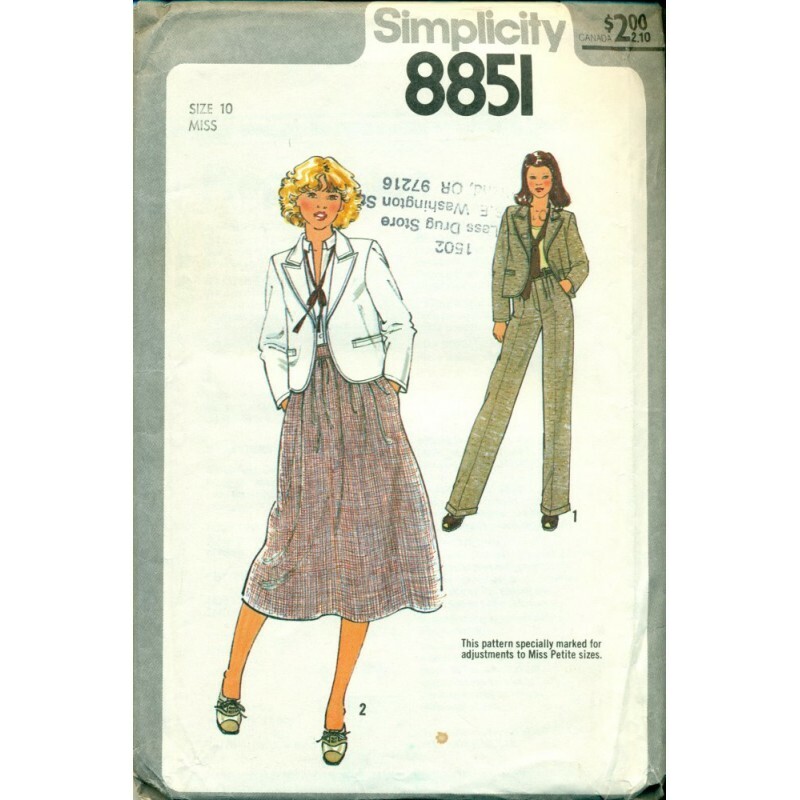 Great styling for the suit in this vintage sewing pattern from Simplicity! The wide leg pants have cuffs and darts at the waist. Fitted unlined jacket with welts at the pockets. 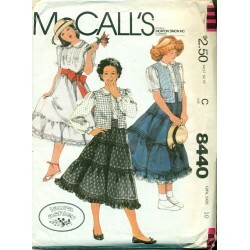 And, the skirt is gathered at the waist. Can be adjusted for petite sizes. Very nice vintage style from the 1970's! Condition : Complete. Uncut, still in factory folds. Envelope has stamp from store where purchased.